Patriots wide reciever Julian Edelman flashed a smile at a New England media availability in Houston. HOUSTON — Julian Edelman came into the NFL as an afterthought, plucked by the Patriots with the 232nd overall pick in the 2009 draft. Sunday, the undersized receiver who’s one of Tom Brady’s favorite targets will play in his third Super Bowl, a remarkable achievement for a player who barely made it to the pros. But just as surprising has been Edelman’s transformation off the field. Once a regular at Boston nightclubs, where his exploits were gleefully chronicled on gossip sites, Edelman has settled down. 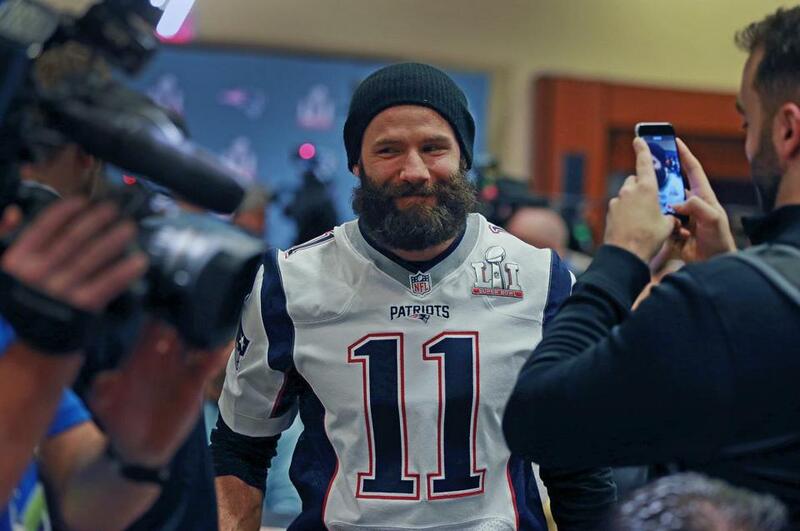 Taking a page from Brady’s playbook, Edelman has made shrewd use of social media to mold his image. He has also begun to explore, with increasing intensity, his Jewish ancestry. This newfound maturity isn’t always evident on the field — he still hisses in the face of defenders after a crucial first down — but friends and business associates say Edelman, who recently became a father for the first time, is less Gronk than grown-up these days. At 30, he still plays with a sizable chip on his shoulder, but there’s more to the receiver than carousing and catching footballs. These guys not only enjoy going through the grind together, they enjoy blowing off steam together, too. Early in his career, maybe because he’d been a seventh-round draft pick who wasn’t expected to last in the league, Edelman wasn’t so scrupulous about his image. In 2011, he was accused of groping a woman at the Boston nightclub Storyville. The charge was later dropped, but the story had been widely shared online. A few years later, he was tabloid fodder again when a young woman posted a picture on Tinder of the football player sleeping, with a suggestive caption. 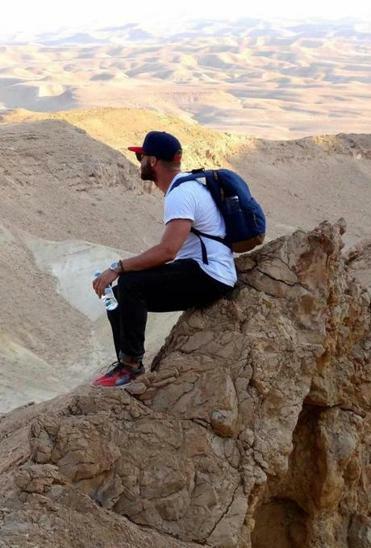 Julian Edelman during a nine-day trip to Israel in 2015. Over time, though, Edelman began to follow Brady’s lead and take greater care in building a brand. He developed a special bond with the quarterback, becoming the Robin to Brady’s Batman. Both were unheralded coming out college and, as a result, both play the game with a grudge. They share the same agent in Los Angeles, and Edelman, like Brady, has a child with a woman he’s no longer with. (Swedish model Ella Rose gave birth to Edelman’s daughter, Lily, in November.) Perhaps the strangest parallel: The Patriots pass catcher is currently dating Adriana Lima, the raven-haired Brazilian who’s the second-highest-paid model in the world — after Brady’s wife, Gisele Bundchen, who’s also Brazilian. Swissa was looking to restart his own career after Unreal Candy, an organic sweets company he founded, didn’t succeed as he’d hoped. 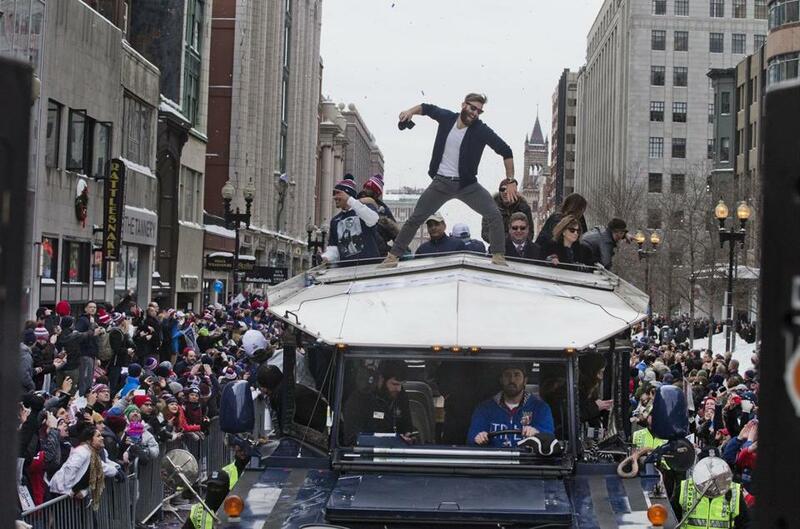 Julian Edelman at the 2015 Patriots victory parade. After designing Edelman’s JE11 logo, the pair created a series of humorous videos to highlight the everyman aspect of Edelman’s personality and poke fun at his teammates. 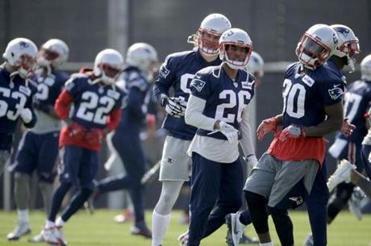 The YouTube clips, featuring Edelman hosting fake cooking shows like “Smoothie Tyme” and “Burger Tyme,” were posted on Facebook and Twitter, and picked up and shared by national media outlets, including Sports Illustrated and CBS Sports. One of the most successful clips — a riff on the ’80s sitcom “Growing Pains,” called “Growing Pats” — has 1.8 million views on YouTube. Advertisers took notice and endorsement deals soon followed. 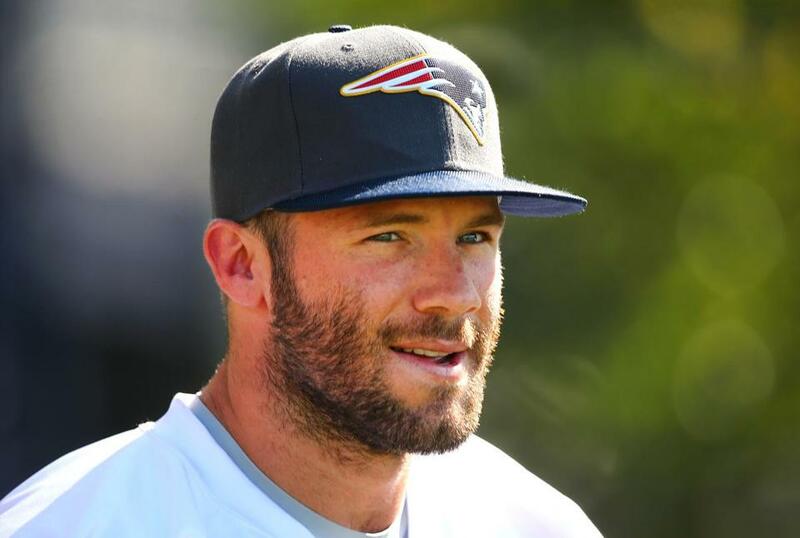 Edelman now has contracts with the sports apparel company Puma, the Italian luxury fashion brand Ermenegildo Zegna, and ProCamps, a sports marketing company, among others. Simultaneously, and for the first time, Edelman became interested in Judaism — his father, Frank, an auto mechanic in Mountain View, Calif., is Jewish; his mother isn’t — which led him to take a nine-day trip to Israel in 2015. Organized by Boston-based Combined Jewish Philanthropies, the trip with 12 other young adults from Boston included stops at Independence Hall, where in 1948 David Ben-Gurion proclaimed the establishment of the state of Israel; Yad Vashem, the World Holocaust Remembrance Center in Jerusalem; the gravesite of pioneering Zionist Theodor Herzl, and a visit to the Western Wall, where Edelman wandered away from the group and said a prayer. Seligson said Edelman was also fascinated by the street art in Tel Aviv’s hip Florentin neighborhood, particularly images depicting the assassination of Israeli Prime Minister Yitzhak Rabin. “I remember he asked about the effect of the assassination on the psyche of young people,” Seligson said. Swissa documented the Israel trip in a video that burnished Edelman’s image as a spirited — and sensitive — guy. “I said, ‘Alright, if you’re going to go, let’s make a video that makes Israel look like Vegas,’ ” Swissa said. Today Edelman, who once said in an ESPN interview that he considers himself “Jew-ish,” appears sincere about his faith. In texts to his Jewish friends, he’ll often type “Achi” (the Hebrew word for “my brother”), he attends Shabbat dinners, and he sometimes wears an Israeli and American flag pin on his hat on the sidelines. He hasn’t talked about it in Houston this week, though. In the days leading up to Sunday’s Super Bowl LI, Edelman has been focused on football, not questions about his faith, new family, or number of followers on social media. Julian Edelman at the third day of Patriots training camp in July.